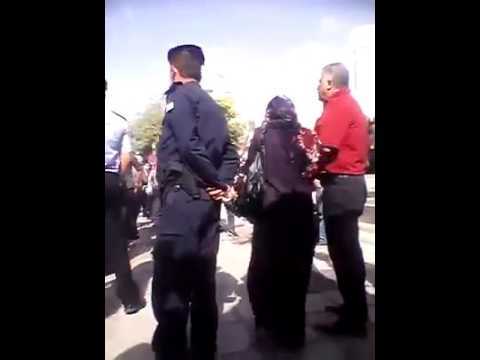 Home » The Loop » Isn't It About Time For The Usa And Uk To Stop Arming Saudi Arabia? 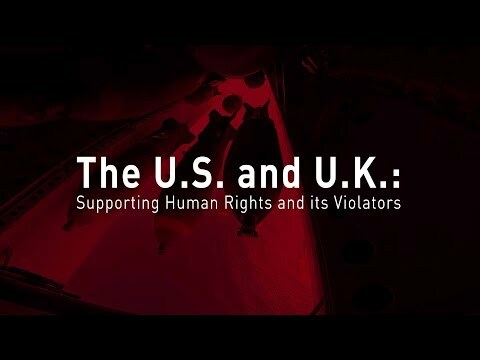 Isn't it About Time for the USA and UK to Stop Arming Saudi Arabia? 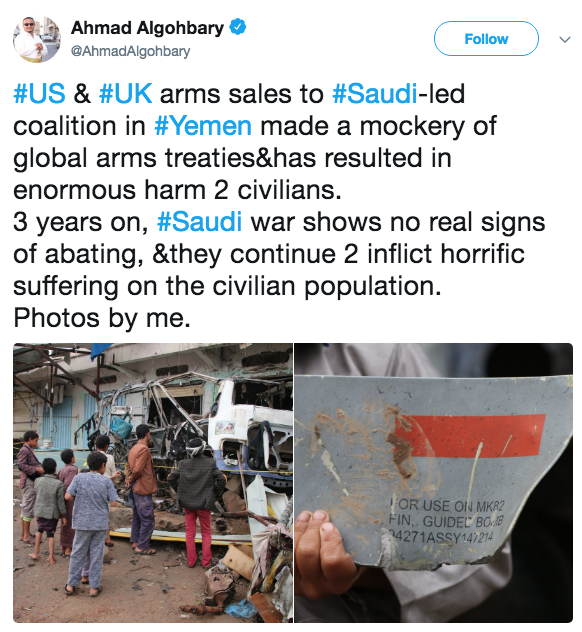 “Stop Arming Saudi” is a campaign that has been going viral among Americans and Brits as well, demanding their governments to stop selling arms to Saudi Arabia, the country that formed a military coalition in Yemen alongside the UAE and has been launching brutal attack killing civilians and children. 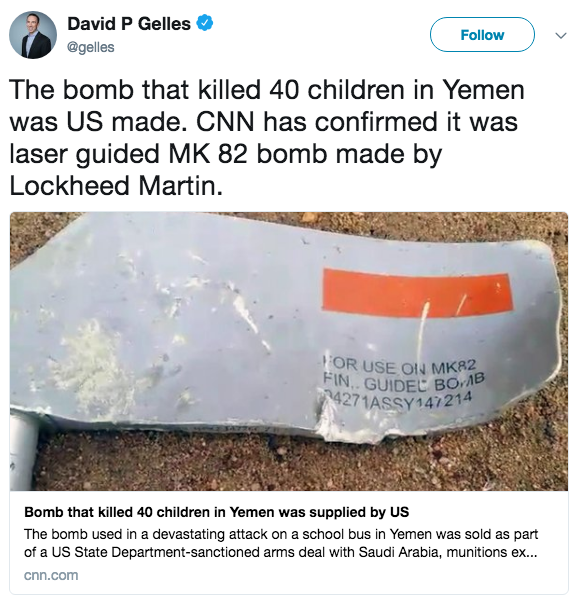 The campaign came after media reports confirmed that the bomb used in an attack killing dozens of children in a school bus earlier in August in Yemen was made in the US and was sold to Saudi Arabia through a US State Department arms deal. Several images were shared on social media for the 500-pound laser-guided MK 82 bomb. Meanwhile, experts confirmed the bomb was manufactured by Lockheed Martin, the US arms firm that supplies weapons. 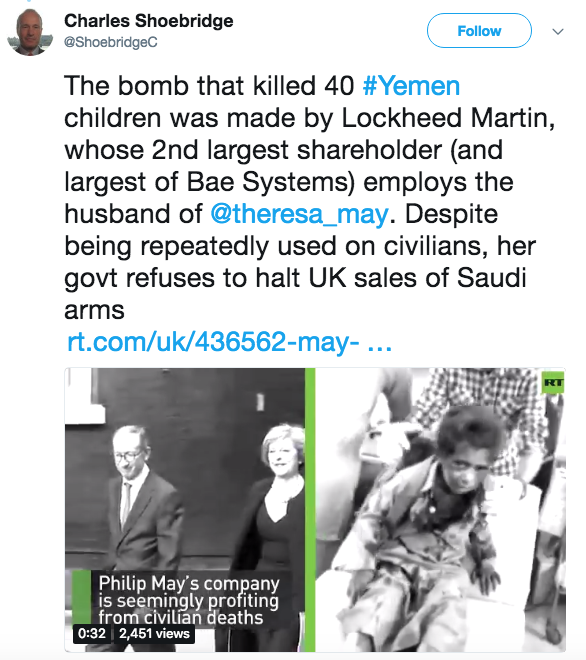 In addition to this, the military arms company has strong business relations with the UK’s Prime Minister, Theresa May’s husband, who works as a senior executive for the second-largest shareholder in Lockheed Martin. 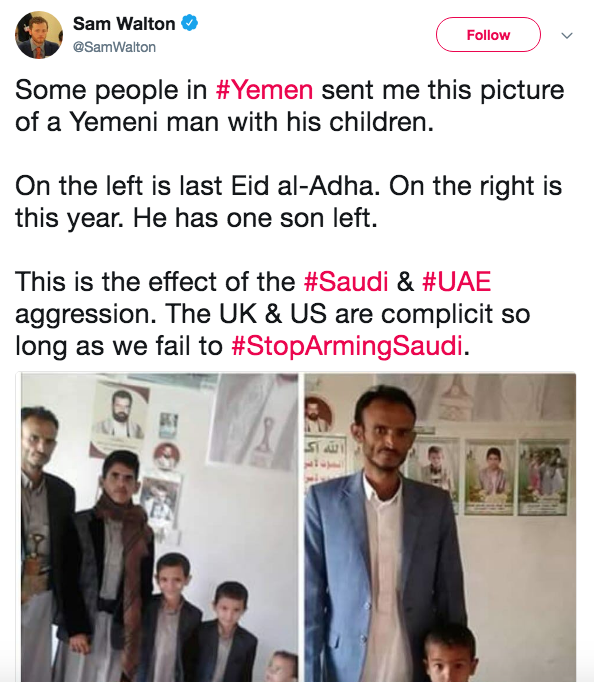 The campaign has been gathering momentum among Americans and Brits on social media with the hashtag: “Stop Arming Saudi”. 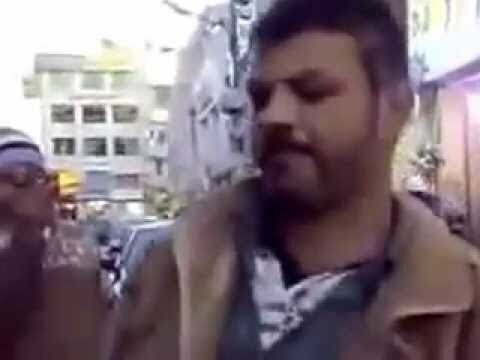 Many expressed shame for their government’s involvement in helping Saudi Arabia in killing thousands of children and civilians in Yemen. 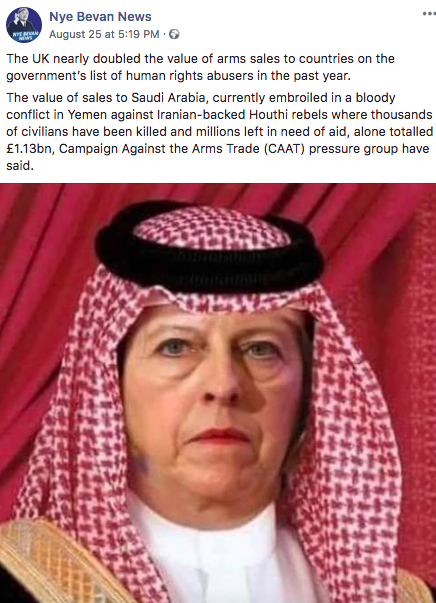 Recent figures in the UK have also showed that the UK government doubled the value of arms sales to the countries listed as human rights abusers, including Saudi Arabia, China, Bahrain, Israel, Egypt and Pakistan. Human Rights Watch had urged the US government to stop selling arms to Saudi Arabia as the latter used them “in unlawful attacks” in a country where millions of people are on bricks of famine and a humanitarian disaster. Some users had different opinions. 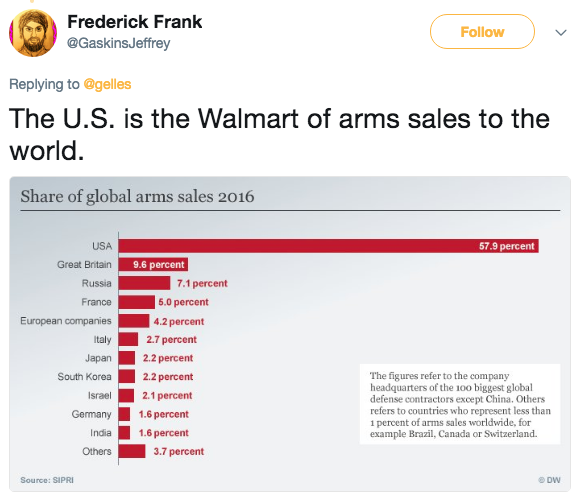 One user called the US as the “Walmart” of arms sales in the world, referring to the largest retail corporation in the US. GCC markets under selling pressure in Feb-06.